This post contains affiliate links, See our disclaimer for more details. Time to choose the perfect name for your dachshund. This is the fun part! The name can be Popular, Unique, or even German (authentic to the Dachshund origin). Dachshunds have a unique disposition, a bold attitude, and a colorful personality. A good dachshund name should be something that you can think of quickly. A name that is easily spelled over the phone to your veterinarian. Dachshund names don’t have to be sausage or hot dog shape-based names (sausage dog names). When choosing your dog’s name, exclude names that sound similar to training commands. For example, names that sound like or include the words ‘No’, ‘stay’, ‘sit’, ‘come’. Avoid choosing a name that sounds too close to a family member’s name. 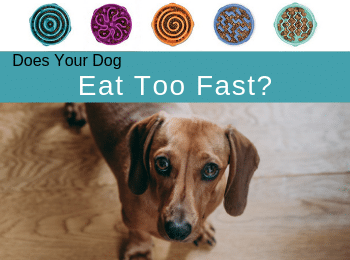 This may cause your doxie some name confusion. 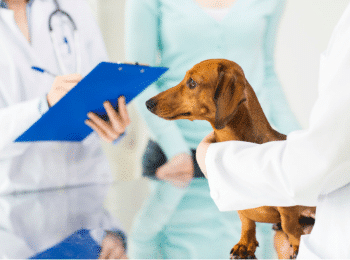 We have sorted a list of the best Dachshund Names (or Dachshund puppy names) into categories of popularity and origin to help you with your search for the right name for your doxie. Most of these names do have multiple origins. We have listed the primary origin. 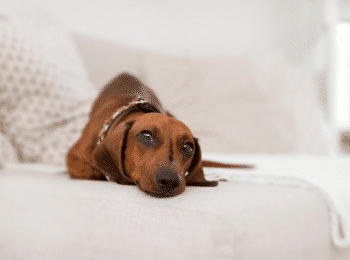 Let’s take a look at some popular Female Dachshund Names. Some of the most popular names for Dachshunds are also trendy human names. If you are deciding on a name ahead of time (before meeting your new doxie) pool together a list of your favorite names. 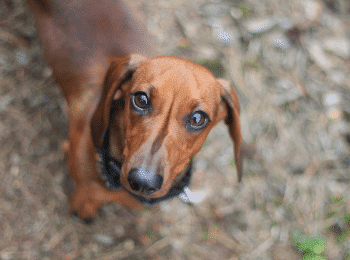 When you first meet your new dachshund, sometimes the color of their coat, the cuteness of their face, or their special features may help you make the final name decision. Sometimes you have to meet the dog before you finalize their name. Male Dachshund names can also come from popular human names. 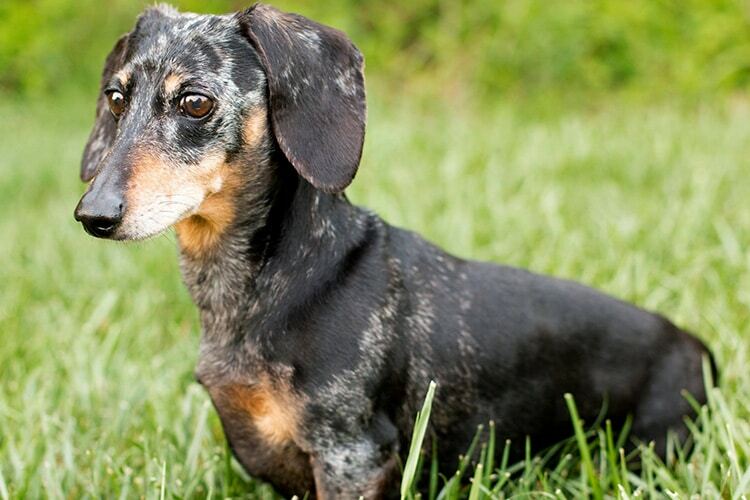 Though the dachshund is a smaller breed, their name can reflect their brave and bold nature. They aren’t afraid to puff out their chest. They are proud of who they are. Here are some female Dachshund puppy names straight from their German origin. Choosing a lifelong name for your doxie is a big decision. Make a list of your favorite names and narrow it down with a family member or friend to help you make the final choice. 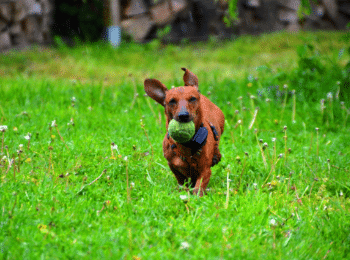 Here is a list of Male Dachshund dog names from their German background. Choosing a name from the dog’s origin will ensure that your dachshund will stand out in the crowd. It can be a challenge not only raising a brand-new dachshund, but choosing the best name for your new friend can take some time. Plan ahead, look at the dachshund name lists and take your time making your choice so that you are comfortable with your decision. The best wiener dog names are the ones that make you happy and are a good fit for your dachshund. Pick a name that you will be proud to call out in your neighborhood or a park. If you are interested in seeing your dog’s name ranked in the order of popularity, Check Rover.com for yearly stats on popular dog names. Let me know in the comment box below which name you chose for your new dachshund. I would love to hear about your doxie and their new name.